“I also encourage members, especially young members, to attend union meetings,” he continued. “Our union means strength. We have good wages, benefits, a pension and women in management because of what the union has done for us. Sanders’ 20-year-old son, Jeffrey Jr., works at Home Depot and is learning to become an auto mechanic. His daughter, Jazlynn, 18, is a senior at Granite Hills High School in Victorville, where she’s interested in the theater arts. “She’s getting straight As,” the proud dad said. Jeffrey Sr. became a grandfather on Jan. 4. “All my spare time is spent with the grandbaby, Ocean Le-Ann, and I’m lovin’ it,” he said. 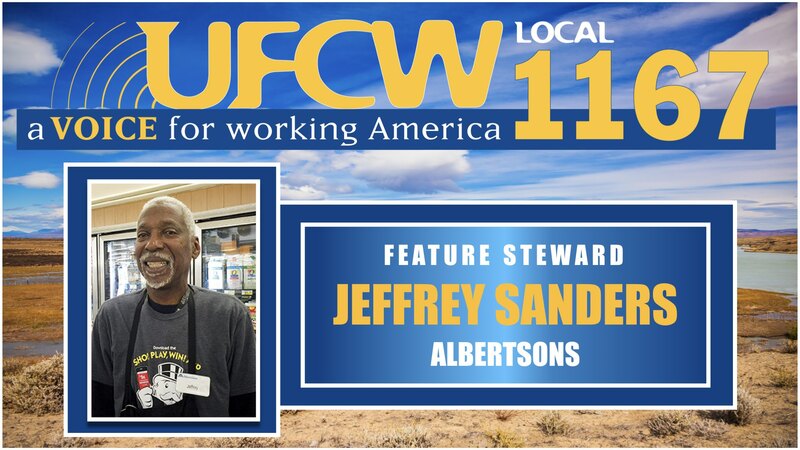 Copyright © ufcw1167.org. All rights reserved.